The Institute for CyberScience provides high-performance computing solutions through the Advanced CyberInfrastructure (ICS-ACI) system. ICS-ACI is Penn State’s high-performance research cloud. 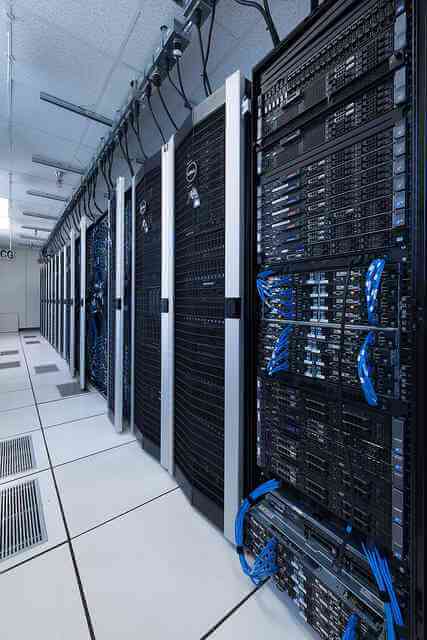 The ICS-ACI cyberinfrastructure, which supports Penn State research computing, is also located at the University Park Campus, within a state-of-the-art data center. This data center provides 2.4MW of redundant power and 12,000 square feet of environmentally controlled space for our hardware. Approximately 50 percent of the facility’s power and equipment resources are dedicated to supporting the ICS-ACI system infrastructure. ICS-ACI operates more than 23,000 Basic, Standard and High Memory cores to support Penn State research. The system provides dual 10- or 12-core Xeon E5-2680 processors for Basic and Standard memory configurations and quad 10-core Xeon E7-4830 processors for High Memory configurations.